HARMAN Takes Center Stage at IFA 2016! After months of preparation, HARMAN will descend on Berlin, Germany for the IFA 2016 show -- one of the world’s leading trade shows for consumer electronics and home appliances. As part of the festivities, HARMAN will present its newest lifestyle products and innovations in the heart of Europe‘s most important regional market. 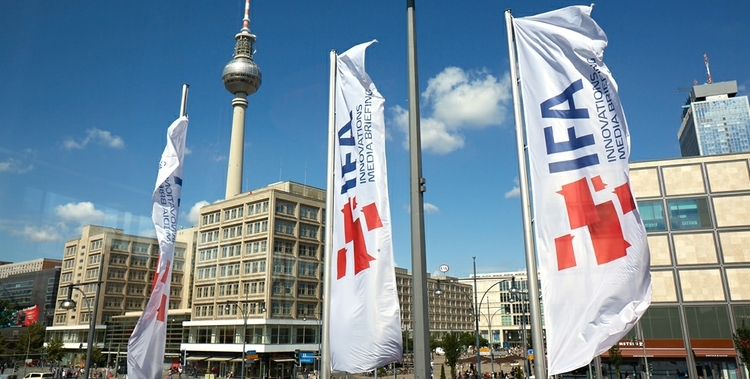 IFA offers a comprehensive overview of the international market and attracts the attention of visitors from more than 100 countries. “Connected by HARMAN” will excite IFA show guests as our suite will focus on HARMAN’s Smart Audio technologies – products that connect people to rich audio and lifestyle experiences whether they’re at home, in the car or on the go. Our brilliantly designed audio products are connected, intelligent and personalized making life more vibrant, elevating the experience and of course more fun! HARMAN and its brands will have a vast array of new products and solutions on display at IFA and we will once again demonstrate our leading position in the global audio markets. In addition, HARMAN will also be celebrating its iconic brand JBL’s 70th Anniversary with a party Saturday evening! IFA 2016 officially starts on September 1 with a media day. The trade show will be open to the general public from 10am to 6pm daily from September 2-7, 2016. Follow all the action at #IFA2016 on HARMAN's Twitter.